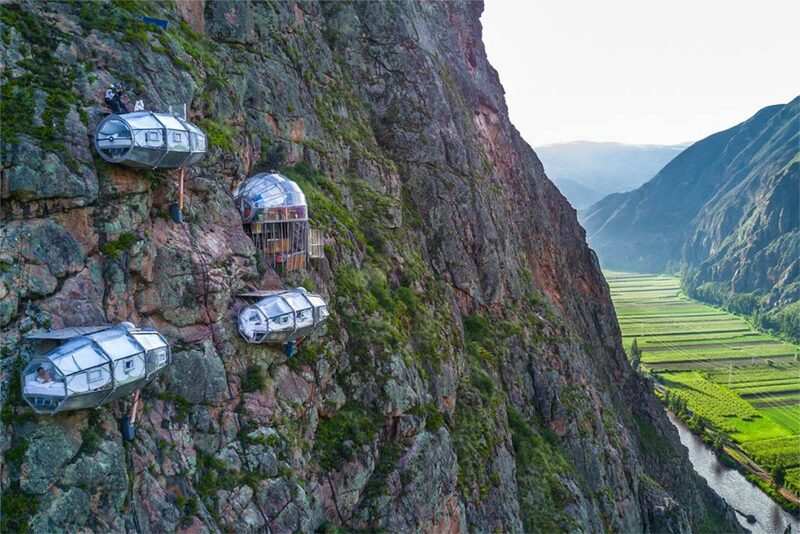 The Sacred Valley of the Incas -or the Urubamba Valley- is located in the Peruvian Andes and runs on average one kilometer wide, west to east, about 20 kilometers of the Inca capital of Cusco. 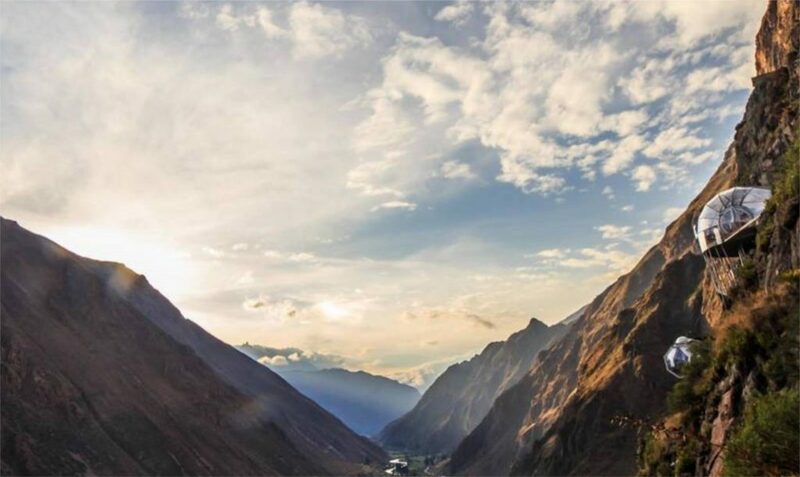 The valley, formed by the Urubamba river, can reach elevations of up to 3,000 meters above sea level, but the steep walls on both sides can reach altitudes of up to 5,800 meters. The valley includes a multitude of agricultural terraces that date back to the Inca era and numerous archaeological sites, like the famous citadel of Machu Picchu. 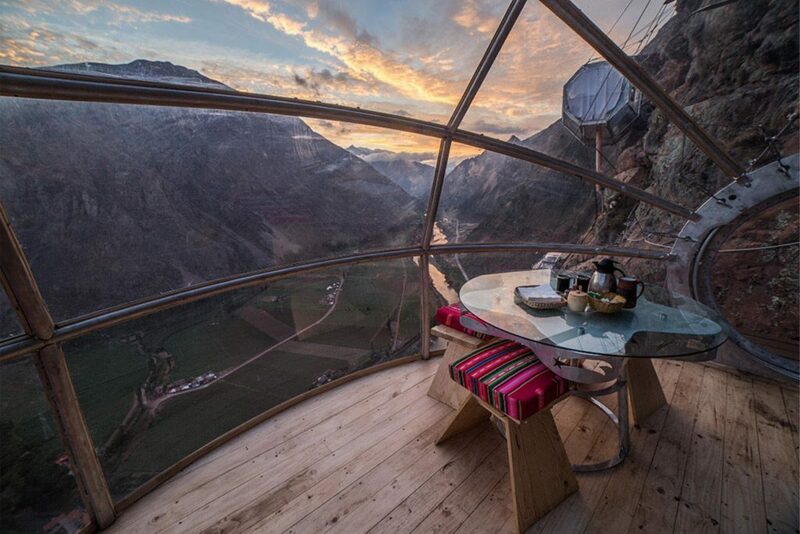 The Skylodge Adventures Suites is a hanging lodge located on one of the south-facing walls of the valley. To reach the three overhanging glass enclosures, guests must climb more than 400 meters of via ferrata (iron rungs anchored into the rock). Definitely not for the faint of heart. The pods are made up of aerospace aluminum and weather resistant polycarbonate, and each contains four beds -accommodating up to 8 people-, a dining area and bathroom (no shower). 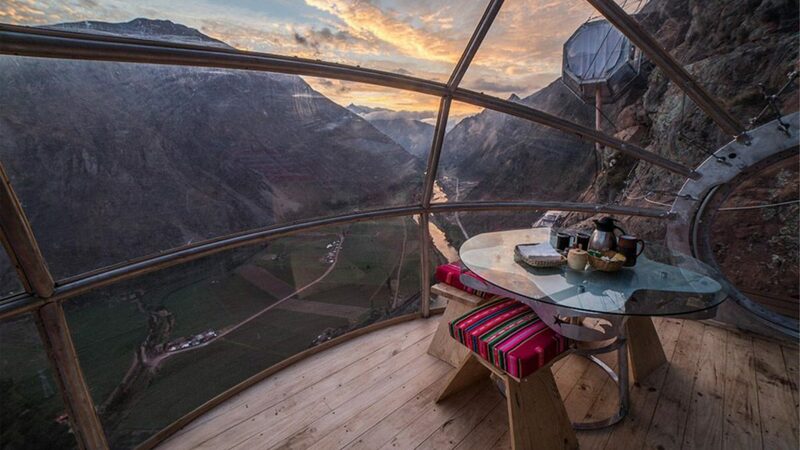 Built in 2013, the capsules offer spectacular 300-degree views of the Sacred Valley. 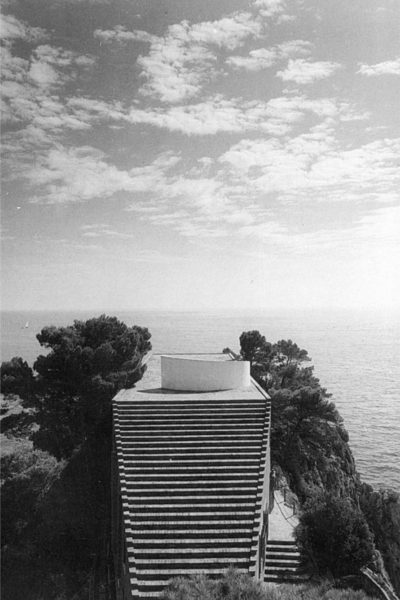 Price, around 300€ per person per night, includes dinner, wine and breakfast, which you can enjoy on the roof of your pod. Descending from the lodge is via zip line. It’s on TripAdvisor too.